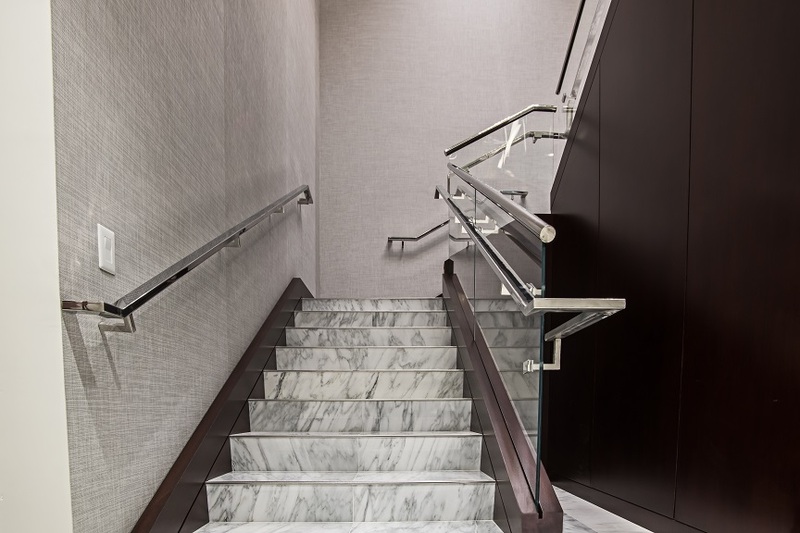 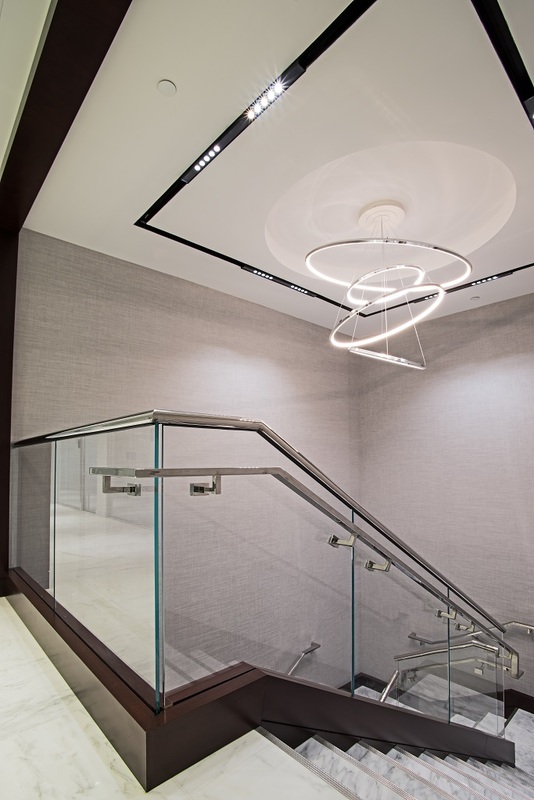 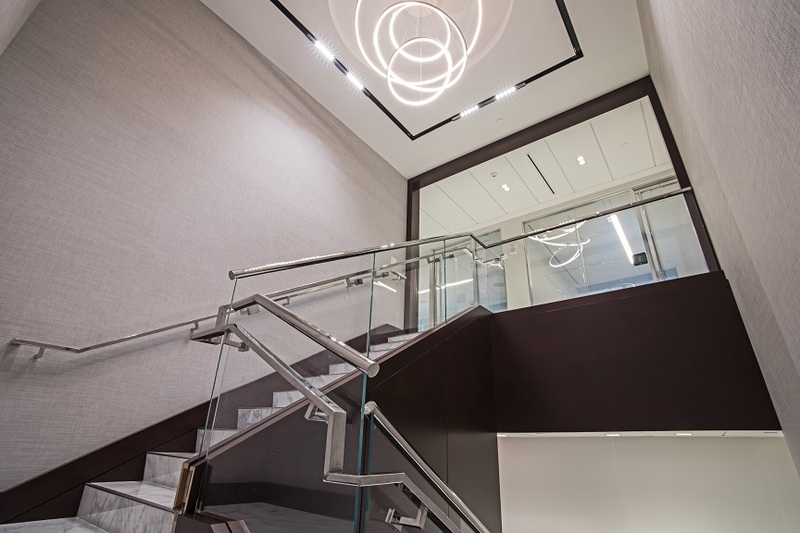 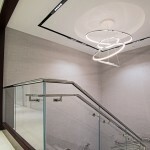 This collaboration was one of three with G Alvarez Studio, INC. A new tenant in a commercial building wanted to update the top penthouse office stairwell. 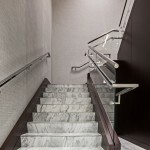 The staircase had been hiding behind walls for 20 years in order to rent out units separately. 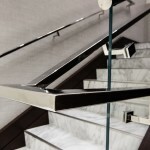 Those walls were opened up and a new modern glass railing design was implemented for the existing commercial stair. 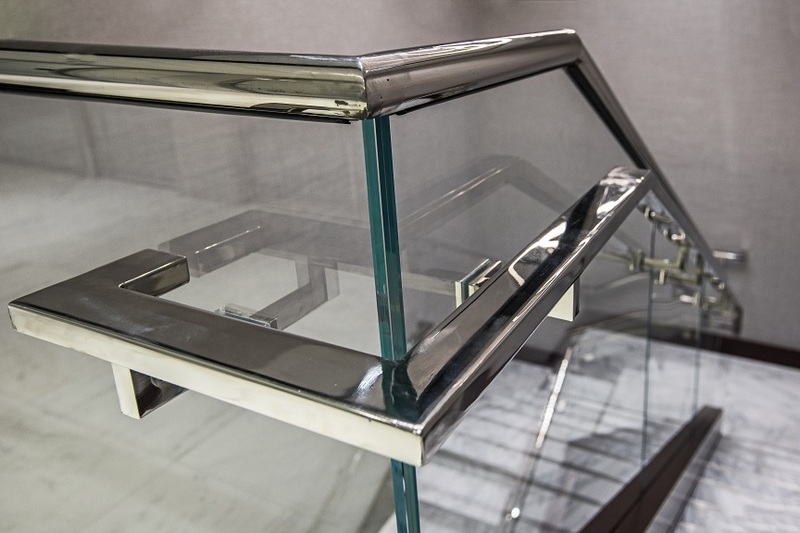 Our new design features clear starphire glass railings that continue onto the second floor guardrail. 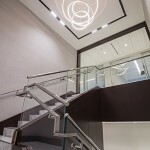 The glass panels were top mounted using an aluminum base shoe and later wrapped in wood cladding. 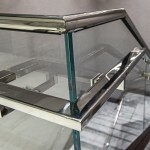 We installed a round stainless steel cap rail on top of the glass panels, as well as, a flat bar stainless steel handrail. 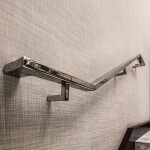 As a commercial building code requirement, the handrail was installed on both sides of the staircase for dual traffic purposes. 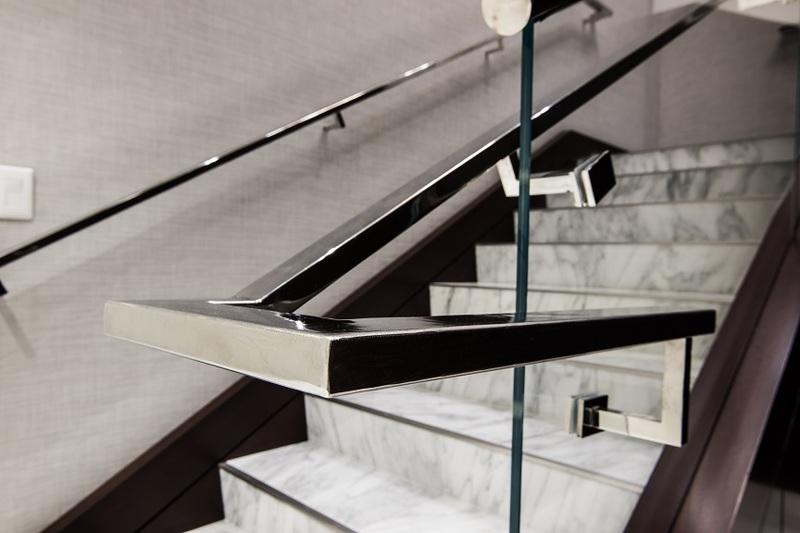 All of the stainless steel was chosen to be in a polished chrome finish. 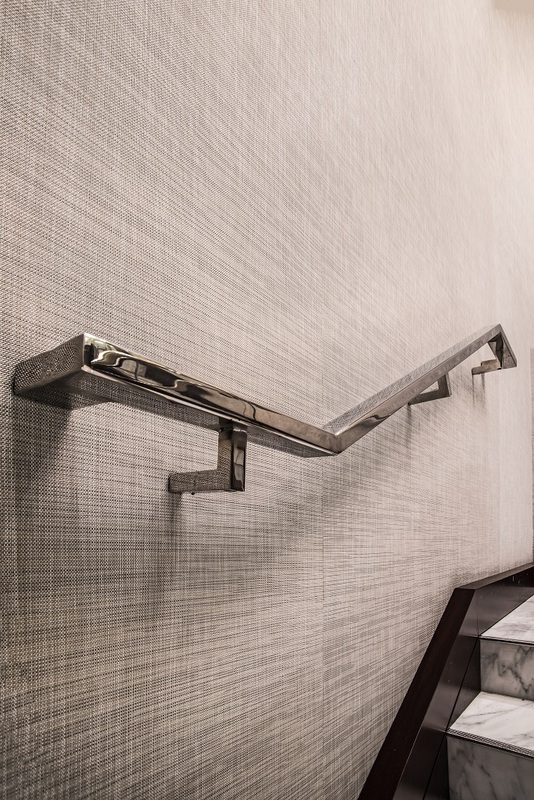 Coming together to create a sleek, modern look for this once hidden staircase.